toshka, 01 Aug 2008O yes the phone released in May and untill now there is NO GPS map?! i have the software loade... morewell. i think you are just trying be funny. i dun think htc has ever say such a thing i got my diamond during the launch and i had installed the mapking SOFTWARE and it works perfectly fine. The phone works fine apart from the GPS which most people do not use. You just need patience as with all PDA phones. Go onto the HTC website register the phone with the HTC club. O yes the phone released in May and untill now there is NO GPS map?! i have the software loaded but it is NOT WORKING, when i cheched with HTC support they say ''because we wanted this device out asap, we did not have time to finilize the maps for this device/windows 6.1, therefore once it is ready you will be notified'' so how come they advertise and sell this phone NOT CHEAP will all the features, but untill now it is incomplete! verry disappointing! i have mine for last one month, thisis my second htc before i had htc touch which was ok, htc diamond i though will be much faster with all that ram/rom and speed however it freezez very often, SLOW, battery life is just terrible, and responce i get from help center of HTC is reboot everything and it should work better! i have this "phone".it's awesome.for this time is the best smartphone or pocket pc.no way to compare with iphone. htc touch is for smartmen....iphone is for the kids. Had it 5 days (free from Orange) and have sent it back and dug out my old SPV M700. Battery life is appauling. Texting is poor (some kind of conversation setting under single contacts), screen is slow and versatility is poor. Looks fantastic, but if you want a reliable phone forget it. Pity really, as I hung on for the release of this. HTC have really gone down in my estimations now (last 4 phones have been HTCs). Waiting for Blackberry Bold now. Madhu, 10 Jul 2008I purchased Touch Diamond day before yesterday. I have some doubts. Please help. 1) I want... morei mean is it good ? like battery life ? corners are chipping ? is it tooo slow ? hangs ?? Madhu, 10 Jul 2008I purchased Touch Diamond day before yesterday. I have some doubts. Please help. 1) I want... morehi. been reading about this phone > do you mean we cant send bulk messages ???????? really !!!!!!!!! urgent question is shall i buy it ?? 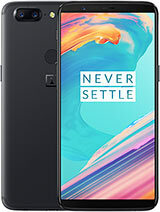 great lovely phone got friends drooling but the downside battery life poor , rather fragile and not a easy phone to use software updates available from xda that will have a better working phone , nb had mine for 3 weeks and now sold it ???? Diamond doesn't have microSD slot? ?